The Trussardi Casa collection is conceived for dynamic and contemporary locations, a sign of the family mood which characterizes the Trussardi maison. Furniture and accessories are inspired by a strong Milan lifestyle. 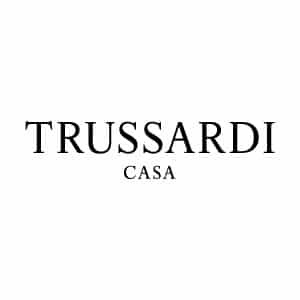 A synthesis of elegance and modernity which is deeply rooted in the Italian taste. This collection tells the story of a journey through three generations, with their history, culture, past and excitement for the future. The solutions proposed for the living and the bedroom are defined by essential volumes and simple lines, always following the idea of informal elegance which has characterized the Greyhound brand for more than a century. The furniture proposals are emphasized by an international origin which is a synthesis of design, functionality and harmonious combination of materials and colours. Luxury Living Group is the luxury furniture and homeware company founded by Alberto Vignatelli that develops, produces and distributes furniture collections for some of the world’s most celebrated brands. Attention to detail, exquisite craftsmanship along with innovative technology, use of the finest materials, a large variety of finishes and the limitless prospects offered by customising the pieces, meant that a loyal community of clients and partners was built up over the past 40 years all over the world. Luxury Living Group’s brand portfolio is one of the largest in the furniture industry and continuously evolves. The presence of Fendi, one of the world’s most admired luxury fashion brand, Trussardi the Greyhound fashion house and Bentley, the definitive British luxury car company crafting high performance grand tourers, give the portfolio a strong base. This is complemented by Heritage Collection in the high-end of the market and by the new Signature Collection designed by Paul Mathieu. On the occasion of the 2016 Salone del Mobile, the Group unveiled two new collections: Bugatti Home and Ritz Paris Home Collection. Today the Luxury Living Group owns and manages six different brands and operates in both residential and contract segments, it has over 300 worldwide dealers and partners and 10 directly owned showrooms located in some of the world’s most strategic cities such as Milan, Paris, London, Miami, Los Angeles, New York, Beijing and Moscow. The Group’s headquarters is located in Palazzo Orsi Mangelli, a historic XVII Century building in the centre of Forlì – Italy. We take great pride in stating that all our production is 100% Made in Italy. The Group employs over 250 people. 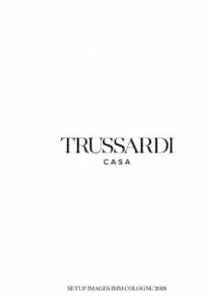 NEED MORE TRUSSARDI CASA INFORMATION ?